A hiking guide to the Serra de Tramuntana and beyond, listing and describing many popular routes, hikes and walks as well as more remote and little known itineraries. Maps and routes can be easily downloaded in PDF format. A cross country mountain bike cycling guide to the hills, with many routes for all levels. Long distance route suggestions on foot or bike for those who want to get off the beaten GR 221 track. A mini road cycling overview of the Island. 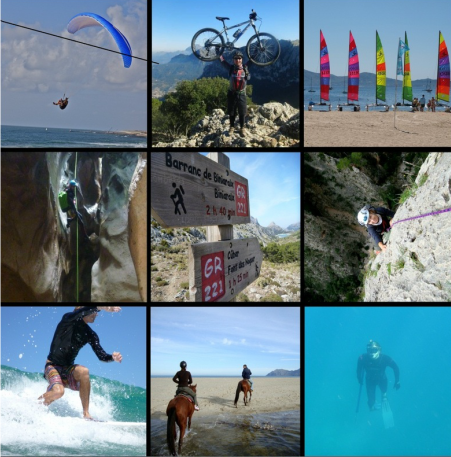 Information on popular outdoors activities on the island, including watersports, canyonning, climbing, paragliding, ballooning, caving, horse riding and more. A selection of places to stay of character around the island, as well as advice on where to eat well without breaking the bank. Links to local outdoors blogs offering current route descriptions and to specialist websites presenting a range of guided outdoor activities.